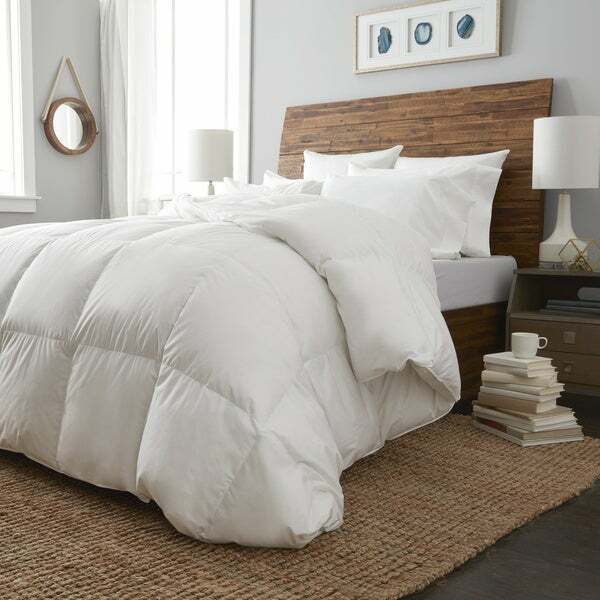 Add luxury and comfort to your bed with this down comforter from European Heritage featuring an all cotton shell with white Hungarian goose down fill for a smooth, soft feel. The down has a 650 fill power and, like all European Heritage down, has been through a unique double wash and quadruple rinse program to ensure that it is hypoallergenic. With this comforter's durable and comfortable construction and medium warmth rating, you can enjoy it all year long. "254 thread count seems rediculously low for a comforter that boasts Hungarian goose down. Seems like there would be a high volume of feather loss. Why all the other "high quality" details but only 254 thread count ? And isn't 254 a very random number?"